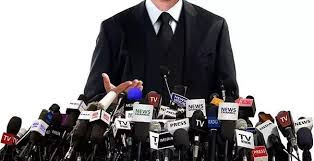 In the past, as in the present, people who occupied positions of political leadership had their own press agents, who were paid handsomely to make their employer look splendid in the eyes of the people and in the historical record. But there were also court reporters who told an unvarnished version of events. While the former spun straw into gold, the latter chronicled the heavy human price paid for such finery. Take the case of King Solomon, for instance. The question we must ask ourselves as we read the biblical text is not which version of events is true, how do we separate fake news from the truth, but rather, how do we distill hope for the present and the future from this history. To this very day Solomon is renowned for this legendary wisdom, When he became king, he asked God for the gift of wisdom.Clearly his ambition was to make Israel great again.He assembled a core of press agents to "capture" stories that might detract from his goal and to promote news that would advance his agenda. The royal press agents were so successful in their effort to cast the king in a positive light that the phrase "the wisdom of Solomon" has slipped into common usage. Reading the biblical text more closely I find that there are lesser known and less celebrated aspects of Solomon's reign that members of the press corps inserted into the historical record. For ease of reading I do not cite chapter and verse in the following. Rather, I invite readers to do their own investigation of biblical texts and draw their own conclusions. The following highlights of Solomon's time as king raise two questions for me. Why were these stories allowed to remain in the sacred text? What lessons might we take from this history. When King David was approaching death there was more than one candidate to take his place as king. There were no televised presidential debates as we have now, but clearly Solomon was neither the natural choice, nor was he everyone's first choice. There was backstage maneuvering and palace intrigue. Solomon did not have the popular vote, but the Electoral College was on his side. This helps explain why Solomon conducted a palace purge soon after his coronation. Loyalty paved the pathway to the king's inner circle. Marital fidelity was not one of Solomon's virtues. According to the legend he had 700 wives and 300 concubines. In the eyes of religious conservatives Solomon's lack of fidelity was his great sin. They did not forgive him. 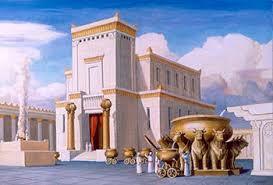 Solomon had a great edifice complex. He not only built a great Temple for God, he also built a fine palace for himself, and he is credited by the biblical story with erecting many other impressive buildings. 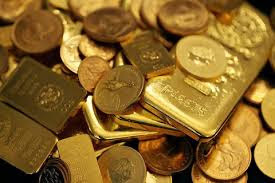 There is no record that he named any of the buildings after himself, but he had enough gold and sliver and precious gems that he could easily have done so if he had wanted. He was not lacking in hubris. 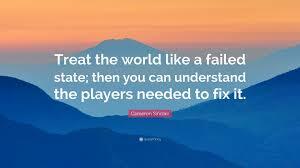 King Solomon was a skilled deal-maker. He used the power of his office to build international alliances, and to amass great personal wealth. There was no emoluments clause to fuss with. Legend has it that many rulers from many lands came to him to pay tribute, stay in his hotels, and shower him with favors and gifts of every sort. He was a very wealthy man. Some would refer to the reign of Solomon as Israel's "Golden Age," but others might call it the "Gilded Age." Forced labor was a fact of life for many, while the few basked in the blessed light of previously unknown prosperity. The chasm between the rich and the rest was deep and wide. And, there was no social safety net for so-called "takers." "So I became great and surpassed all who were before me in Jerusalem; also my wisdom remained with me. And whatever my eyes desired I did not keep from them; I kept my heart from no pleasure, for my heart found pleasure in all my toil, and this was my reward for my toil. Then I considered all that my hands had done, and the toil that I had spent in doing it, and behold, all was vanity and striving after wind, and there was nothing to be gained under the sun" (Eccl 2: 9 - 11, RSV). 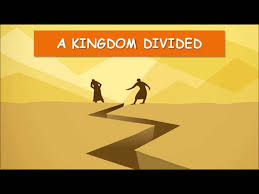 Upon Solomon's death the kingdom was split in two, never to be reunited again. Yet, to this very day there are many who cherish the hope that perhaps, one day, a new Temple will be erected on the very spot where Solomon's Temple once stood, and there will be a new Golden Age for Israel. This nationalist dream is not unique to any one nation. Indeed, we live in an age when nationalist ideology is re-asserting itself in many forms and in many places. In some instances this resurgent nationalism borders on idolatry. Rather than thinking of the reign of Solomon as a Golden Age, I see it as the foreshadowing of a failed state. His policies, practices and priorities left a divided nation that did not have either the will or the resources to heal itself. While Judaism remains a vibrant and vital religious heritage and faith, Israel itself has perhaps never fully recovered from the hubris of Solomon. Other nations, including our own, labor under their own outworn mythologies of exceptionalism. I ask myself if we are witnessing the making of a failed American state today. Our national debt has reached historic heights, yet the stock market continues to climb ever higher; the social safety net is being shredded in the name of fiscal austerity, yet the defense-homeland security-industrial complex continues to expand; federal oversight and regulatory agencies are stripped of power and personnel, yet the ecological crisis deepens; and, a growing chasm separates the rich from the rest. The list of concerns grows longer if not by the hour then by the day. Are golden dreams the only refuge we have for hope? . While wrestling with the above, I have been reading Eduardo Galeano's Open Veins of Latin America (Monthly Review Press, 1997). First published in 1971, it remains a compelling book. In the concluding chapter, Galeano writes: "In this world of ours, a world of powerful centers and subjugated outposts, there is no wealth that must not be held in some suspicion" (p. 267). I am inclined to believe that there were reporters in the age of Solomon who were suspicious of wealth and so they seeded the official record with stories of dissent, knowing that in doing so they were sowing seeds of hope for a more open society. 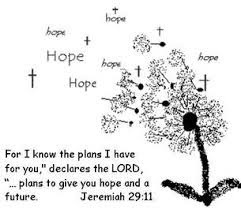 The questions for us, then, are these: Where do we see seeds of hope being planted today? What stories are we telling and celebrating? Perhaps these questions are the true legacy of a wise king who at the end of his days wanted to tell a cautionary tale.